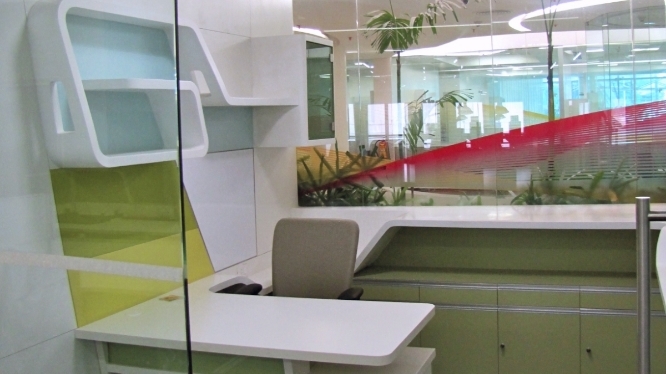 Design services for Aditya Birla Groups’ Aditya Birla Science and Technology centre totalled a built up area of over 1 lakh sq. ft at completion. Work included Physical and Chemical science labs, in conjunction with library, auditorium, corporate offices and pilot plant. Our brief was to create an eclectic, world-oriented yet indian at heart studio for people of different walks to find comfort while working. Surrounded by artifacts of client construction sites the office is an experimental design think tank for all its users. The use of dark cocooning materials with soft fluid forms sets a comforting story for the concept design of TAJ SATS airport lounges. 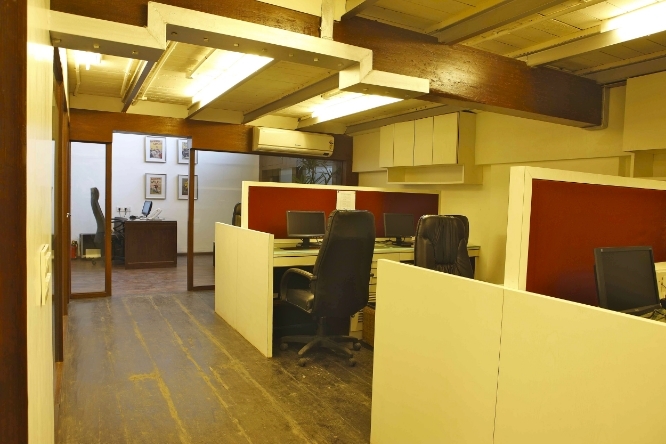 Completing stripping and then 'repopulating' a heritage wood structure in the mill compound was the basis of this office project. Notice the restored wooden ceiling with minor distress.